As one of the most common features within a building or structure, we often take the humble window for granted. 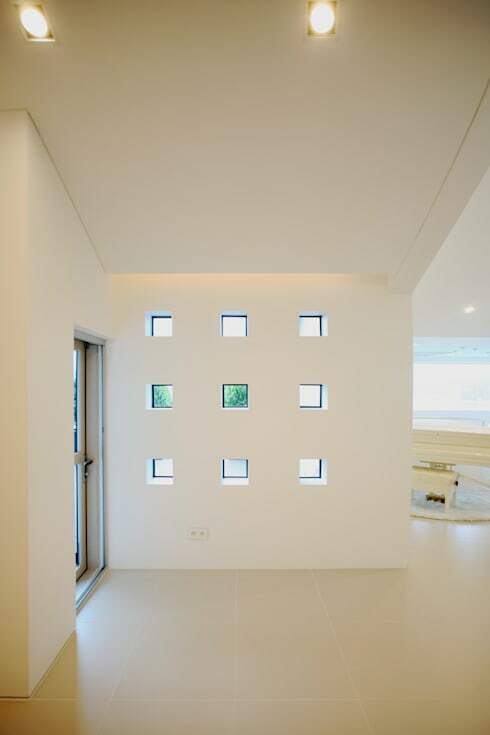 These openings and holes are a mainstay of almost every house or dwelling, providing light and air to our interior spaces. From the first glass window, invented during the early Roman Empire, windows have come a long way, developing into a plethora of various shapes, silhouettes, and designs. The first known windows were seen during ancient eras, where individuals would fashion holes in their hut walls, and cover them with animal hides to protect themselves from intruders and also the often harsh elements. Moving on from this, people learned how to create better structures and eventually the humble window slowly started to develop and evolve to become the windows we see today. Nowadays there are numerous windows available such as the tilt and slide window, transom, oriel, jalousie, clerestory, skylight, French, and double-glazed. So, today on homify we have rounded up eight of the most common styles, to give you a handy guide when renovating or refurbishing your dwelling. If you would like to learn a little more about the modest window, or have some inspiration for your new home, check out this Ideabook now! The bay window is by far one of the most popular windows available. Not only does it scream style and elegance, it is an excellent way to bring copious volumes of natural light into a space. The bay window comes in all shapes and sizes, and is most commonly formed with three separate panes of glass, two of these angled to the walls. This window protrudes outward, and provides extra space within a room, often being utilised for seating, built-in storage, or a desk. Most bay windows are polygonal or square, however when they are curved they are called bow windows (we'll get to these next!). 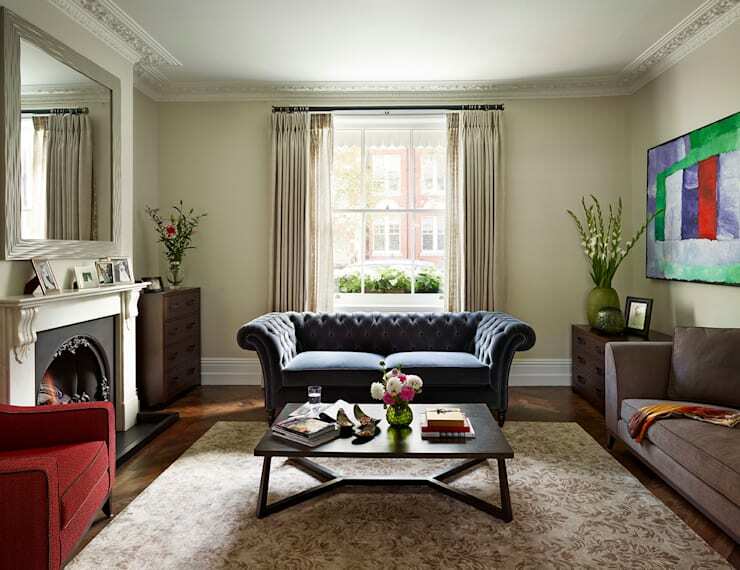 Suiting a range of interior designs, bay windows are seen in tradition or heritage homes, but can also be added to more contemporary dwellings. 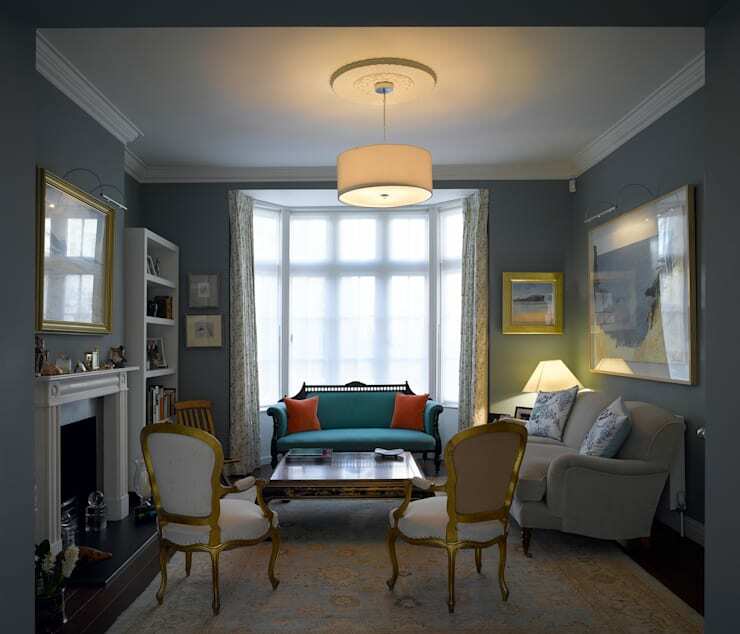 In this gorgeous example from Belsize Architects, we see a room that has been beautifully arranged to make the most of the large bay window. The bright blue sofa is illuminated by the window, and works to enhance this focal point and light-filled space. Very similar to the bay window, the bow window is essentially a squashed and tapered version of the bay. 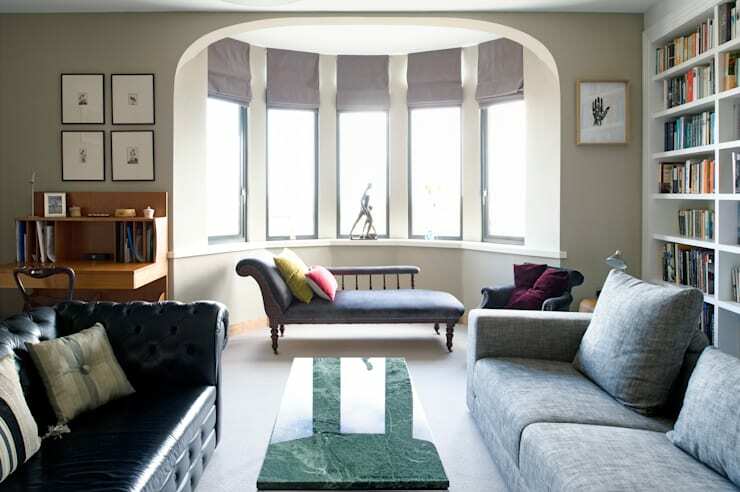 Generally these curved bay windows are designed to create extra space within their domestic areas, while also offering a panoramic view of the exterior garden, city, or street. 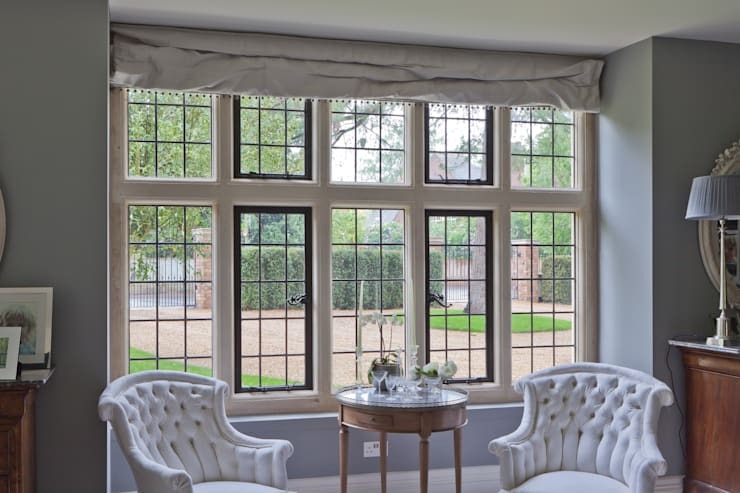 Also sometimes known as a compass window, these stylish interior additions usually contain a minimum of four panes of glass, with some far exceeding this. Here we see a bow window that is large luxurious and ultra-stylish. As you can see the opening is much larger and wider than the bay window, allowing a panoramic view beyond. To maximise this area, a chaise longue has been added to the open space, imparting a sense of opulence and lavish relaxation. The next window we are taking a look at is the casement window. This typically heritage style glazed window features hinges on one side of the frame to allow the space to be opened up. Casements often feature leaded glass, and this is seen in this example by the small squares that are visible. These windows are popular throughout Europe, and are often seen on manor homes and mansions in the countryside of England, Scotland, Denmark, Holland, and Sweden. These windows can also be set within a wall without a hinged opening. This is called a rabbeted frame fixed window, and are sealed with putty to secure the glass to its frame. Casement windows are opened with a crank, lever, or cam handle. These work as a lock for the window, and are often a highly prized feature being made out of brass in many instances. 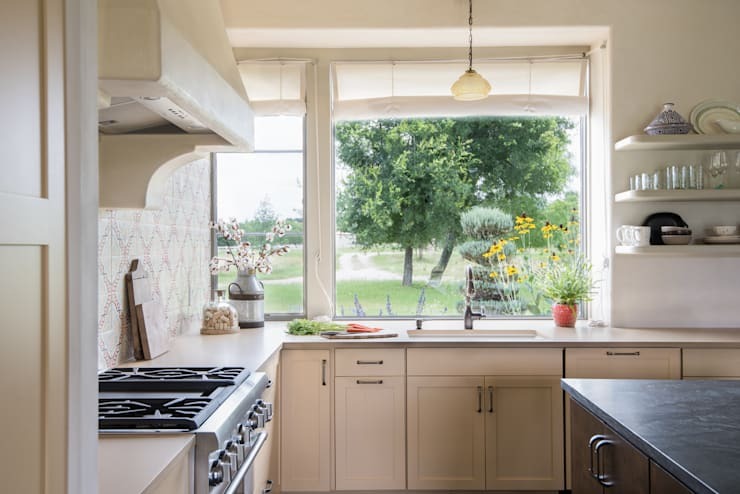 This window is determined with a side opening hinged door, unlike awnings that are hinged at the top, or hoppers that are hinged from the bottom. Picture windows do exactly what they say; they create a stylish image from the landscape beyond. Picture windows can be large or small, but are generally on the larger side to impart maximum effect on the occupants within the home. This is a great example that beautifully illustrates how the picture window acts as a living piece of artwork for the kitchen. The double-hung window is the most popular window in the UK, and areas colonised by the British Empire. These are technical windows that have two parts overlapping slightly, allowing one to slide up and down inside the frame. Spring balances balance the sashes, and sometimes counterweights are held in boxes on either side of the frame. These are traditional windows, which look fabulous in heritage homes, but are also seen in more contemporary dwellings too. In this image is a typical double-hung sash window with the lock at the top of the lower framed piece. These windows can be enhanced with shutters, and look beautiful when well dressed. A variant, which was created first, is the single-hung sash window. These have an opening bottom part, with a fixed top pane. Slider windows are perfect when you want to maximise a view without compromising on practicality. They come in numerous shapes and sizes, offering maximum versatility for any style of home. A variant of the casement window, a hopper window is hinged at the bottom, and allows for individuals to half open the window inwards or outwards (inwards is most commonly used). 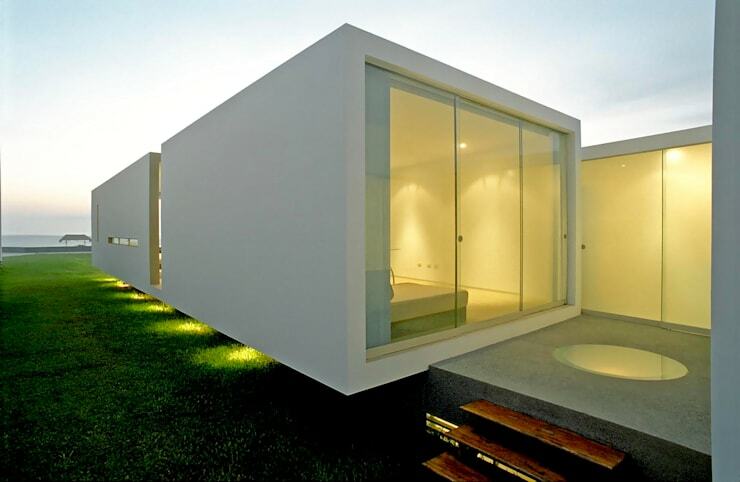 These windows are a brilliant example of glazing that is able to suit smaller or compact areas. Often used for basements and attics, these stylish openings are perfectly versatile for many domestic spaces. Here in this example we see two hopper windows that are set at 90-degree angles next to each other, providing a great view outside, and into the picturesque landscape beyond. 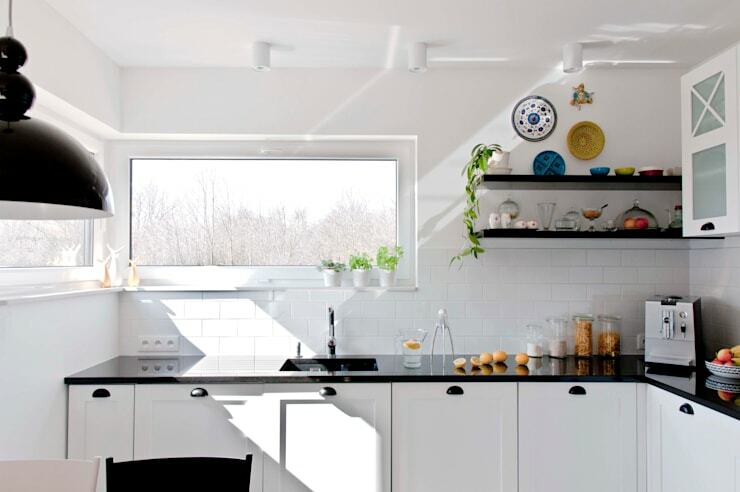 In a normally awkward space, these two windows provide ample illumination for the kitchen, and look modern and sleek. Last, but certainly not least, we are going to mention bespoke glazing. Now, this term is broad and essentially describes any window that has been commissioned to act as a custom and unique piece within a home. Each bespoke window generally fits into one of the more typical categories, but in many cases can produce something entirely original. From wild curved windows, to large walls of glass, the only limiting factor is one's imagination. Here in this example we see an interior entrance space that has utilised a set of nine fixed windows that are small and intriguing. The exterior landscape makes each square a different colour, and provides a innovative solution to letting in light within a space. Here the windows are as much an architectural design element, as they are a perfunctory illumination method. Which style of window is your favourite? We’d love to hear from you in the comment section below!